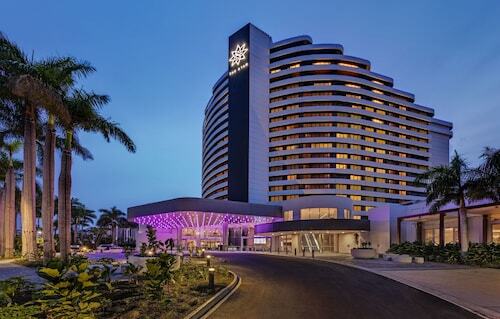 Seeking an interesting district in Gold Coast? Nobby Beach can be found 5 kilometres south of the heart of town. The Sea World, Movie World and Dreamworld are just some of the fantastic iconic things to see that Gold Coast lays claim to. Stretch out and wander along the shoreline at Burleigh Beach. You never know what you may find. The Miami Beachside Holiday Apartments and Burleigh Surf Apartments are great if you'd like to kick your heels up nearby. Aim for a perfect round as you keep away from the bunkers at Burleigh Golf Club. For this place, think about the Turtle Beach Resort and Montana Palms Holiday Apartments. Nobby Beach is somewhere that boasts lots of hotels, such as the budget options of the Ocean Blue Motel and Ocean Beach Tourist Park. At Wotif, we reckon that from time to time you just have to treat yourself. 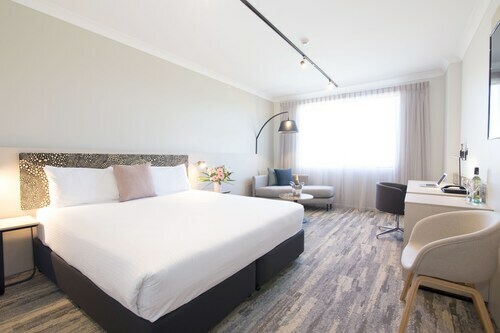 So if you're after places to sleep in Nobby Beach and you're able to spend a little more, you should consider the deals at the Beaches on Wave Street and Nobby Beach Holiday Village. There's no better way to kick off your day of adventure than at one of the fantastic cafes of Nobby Beach. A caffeine hit at Commune Cafe should start you off on the right foot. When your thoughts start wandering to dinner, go and take a look at Spice Temple indian Restaurant And Bar. The main courses may be delicious, but don't forget leave a bit of room for dessert! If you are having difficulties finding the best hotel deal in Nobby Beach, look into the Miami hotels guide. Alternatively, the Wotif Mermaid Beach hotels guide can sort you out. Are you ready to make your Nobby Beach daydreams a reality? Wotif will make it happen, from flights and hotels to car hire and activities. How Much is a Hotel Room in Nobby Beach? Hotels in Nobby Beach start at AU$133 per night. Prices and availability subject to change. Additional terms may apply. Was a beautiful at Peppers. Such a lovely surprise when we received an upgrade to a 3 bed sky home. What a sensational apartment with an awesome view! Highly recommend!